Waialua High graduate Todd Nacapuy left a lucrative career as a tech entrepreneur in Seattle to come home to Hawai‘i, work for Microsoft— and, as it turns out, now has a unique opportunity to give back. Appointed by Gov. 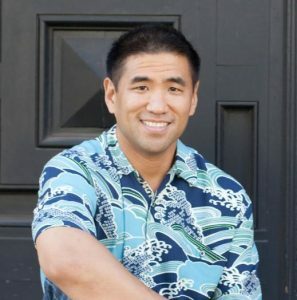 David Ige as Hawai‘i’s chief information officer, Nacapuy, 38, is leading the state’s technology team to set the right systems and resources in place for a more effective, efficient and open government. One of his first moves has been to initiate consolidation of the Office of Information Management and Technology (OIMT) and the Department of Accounting and General Services’ Information and Communication Services Division (ICSD) into a single, cohesive Office of Enterprise Technology Services. Wasting no time, the office has already launched an electronic signature program, eSign Services, as part of the state’s move to a more efficient “paperless” environment. In addition, the office significantly accelerated the Executive Branch’s migration to Office 365, a single communications platform that not only provides long-term budget sustainability but also fortifies security, expands applications and services, and adds tools for collaboration. 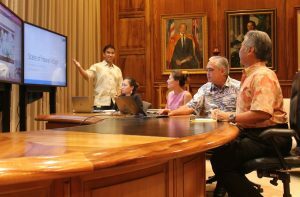 Nacapuy said the goal is also to “change the culture of IT workers in Hawai‘i” by ramping up workforce development and creating career pathways for state employees — from help desk staff to system architect. He said the idea is to help people up the career ladder — whether it’s within state agencies or the private sector — because, in the end, the whole community benefits. “The governor reminded me that his kids will be graduating soon and will want to come back home. No pressure, right?” he said, laughing. 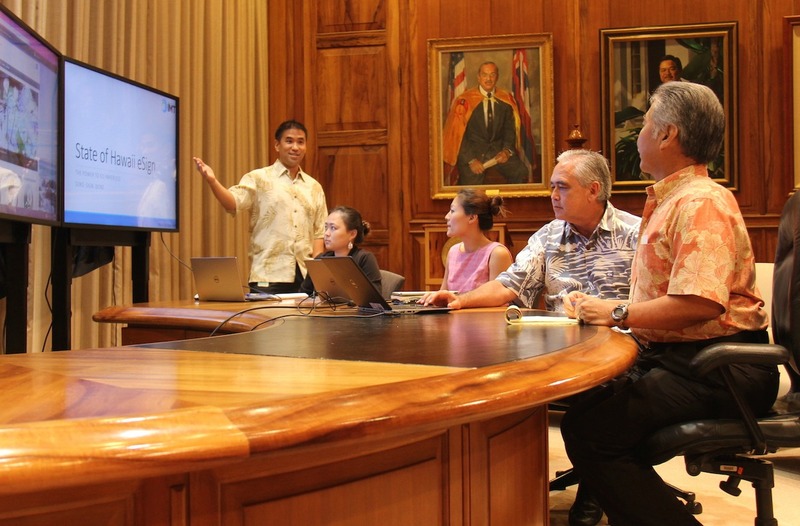 Photo caption: CIO Todd Nacapuy and his team demonstrate eSign Services for the governor and his staff.